I would say that Jeb Bush is in big political doo doo. Three of his top fundraising consultants left his campaign abruptly. Some say they were fired, some say they quit. But this happened right after a major drop in Bush’s poll numbers. Of course, Bush’s campaign is trying to make light of all this and say it is no big deal. But when you are in the very midst of a presidential campaign, to lose even one of these guys is suspicious. But three? Trump is calling him low energy and he is. Bush is boring. People keep saying what a great governor he was. I’ve talked to a number of people in Florida that would take issue with that. With all the money he’s got, it’s strange that money issues would torpedo his campaign. I wonder what is really at play here? Three of Republican presidential candidate Jeb Bush’s fundraising consultants have left the campaign, Fox News confirmed Saturday. The consultants are Kris Money, Trey McCarley and Debbie Alexander, and they voluntarily left the campaign Friday, according to multiple sources. Politico first reported the departures and suggested they were the result of personality conflicts and concerns about the strength of the campaign. However, a Bush campaign source attempted Saturday to minimize the impact of the departures by saying the consultants remain involved in multiple projects outside of the campaign. He also said Ann Herberger, a longtime aide with more than two decades of experience in state and national politics, will continue to lead fundraising operations at campaign headquarters in Miami. Bush, a former Florida governor, was the 2016 GOP presumptive frontrunner. And he had a superior fundraising advantage over essentially all of the other candidates in the party’s huge primary field, in large part because of his family name and connections with Washington Republicans. Bush and the super-PAC Right to Rise raised a combined $114 million in the first quarter of this year, according to federal records, meeting often-talked-about expectations that the operation could indeed raise that much money. However, Bush’s poll number have steadily declined since billionaire businessman and first-time candidate Donald Trump entered the race in mid-June. Bush led the GOP field in mid-July with 17.8 percent of the vote, but is now at 9.8 percent, behind Trump at 23.5 percent and retired Dr. Ben Carson at 10.3 percent. Trump has aggressively and consistently attacked Bush as the frontrunner, criticizing several of his positions including those on immigration and federal spending on women’s health. Money, McCarley and Alexander will continue to work for Right to Rise, sources also told Fox News. If Jeb is publicizing himself as a joyful tortoise (who thought that up? ), his turtle is cooked so-to-speak. Not only does he stand for every Progressive policy conservatives hate, he doubles down on them. Then, in a heated political race, he won’t fight, except to sling mud periodically. 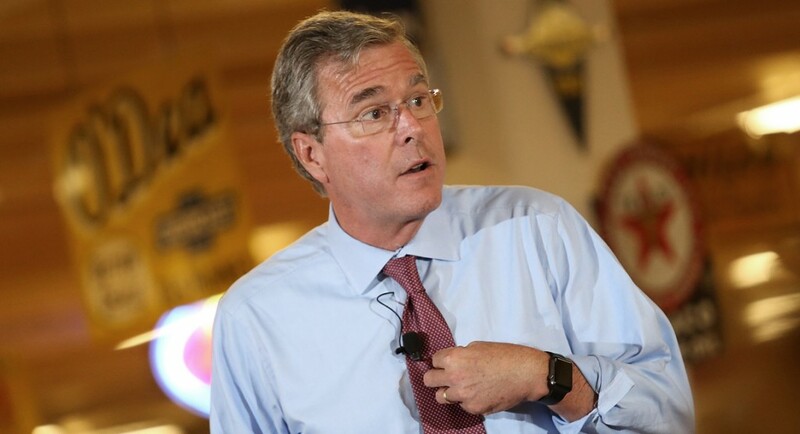 Rumors are already spreading that there are other troubles brewing in Jeb’s camp as well. Funding is not everything in politics. If you don’t have loyal support and you can’t capture the hearts and minds of voters, then you are done for. Not only that, but Bush himself is mis-stepping as he did when addressing the anchor babies issue and saying he was referring to Asians. That’s going to leave a mark, trust me. I can’t see Bush winning the nomination unless it is rigged. If he does, the Marxists will win.